Based on my experience, the Submariner 1680 Red Writing was produced in six different versions of the dial. 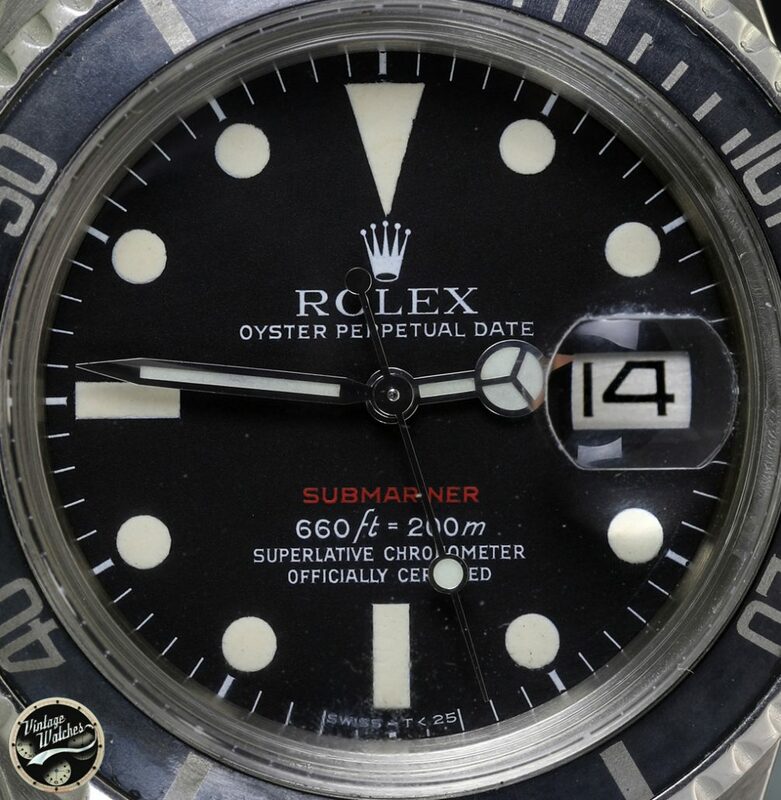 The graphics of the dial despite being made with the same cliché can vary in sharpness and thickness depending on the state of wear of the clichè and the mold. 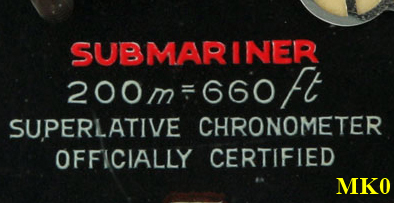 So, the thickness of the writing is a parameter not to be kept in mind to evaluating the Marks. 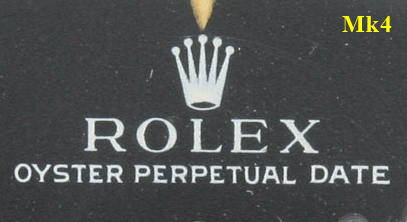 Important instead focus on the Fonts. We learn to recognize them. 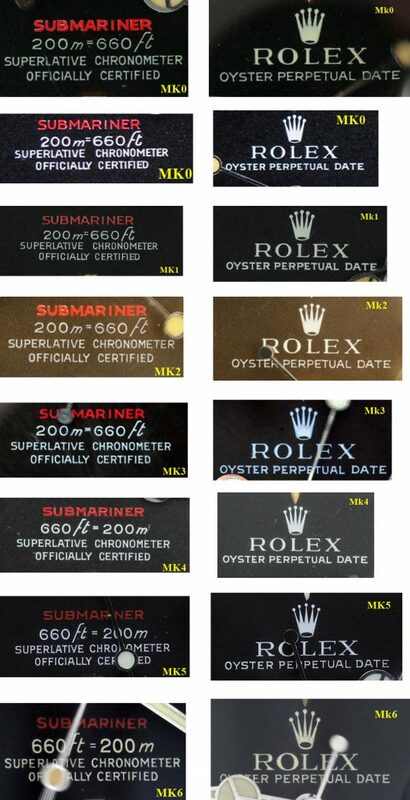 As can be seen in the photos, the Pre-Series Mk0 was produced in two different Meter First versions, with and without circle ring , both without minute graduation. 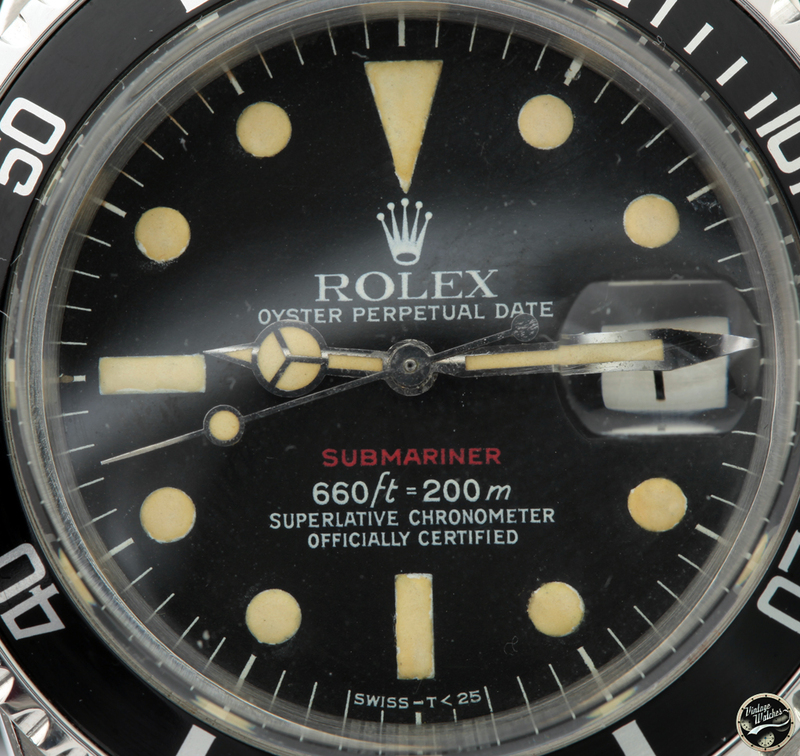 The first shows the word Swiss Made, the second one Swiss-T <25. 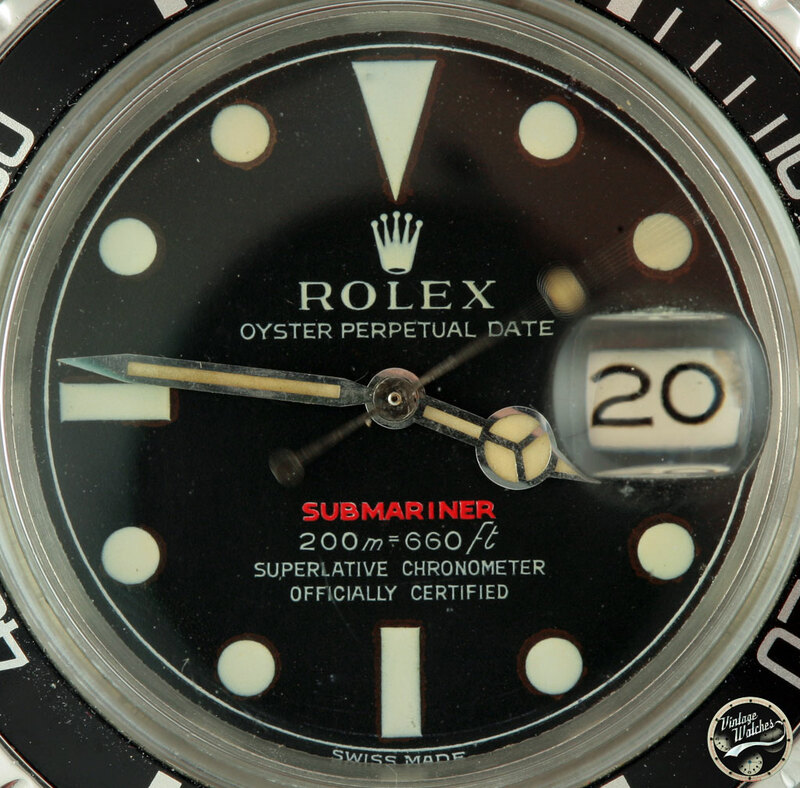 Looking closely, you can notice that the writing "Submariner" is written from a white base covered with red paint. The 6 of the depth is open in the version with hoops and closed in the second version. The writings are graceful. 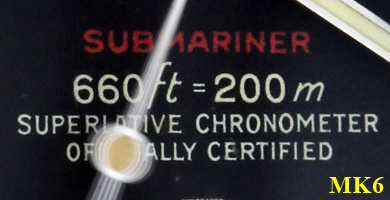 Note the F of the depth, which is long and covers the upper part of the T.
From Mk1 all dials have the minute graduation and the wording Swiss -T <25. 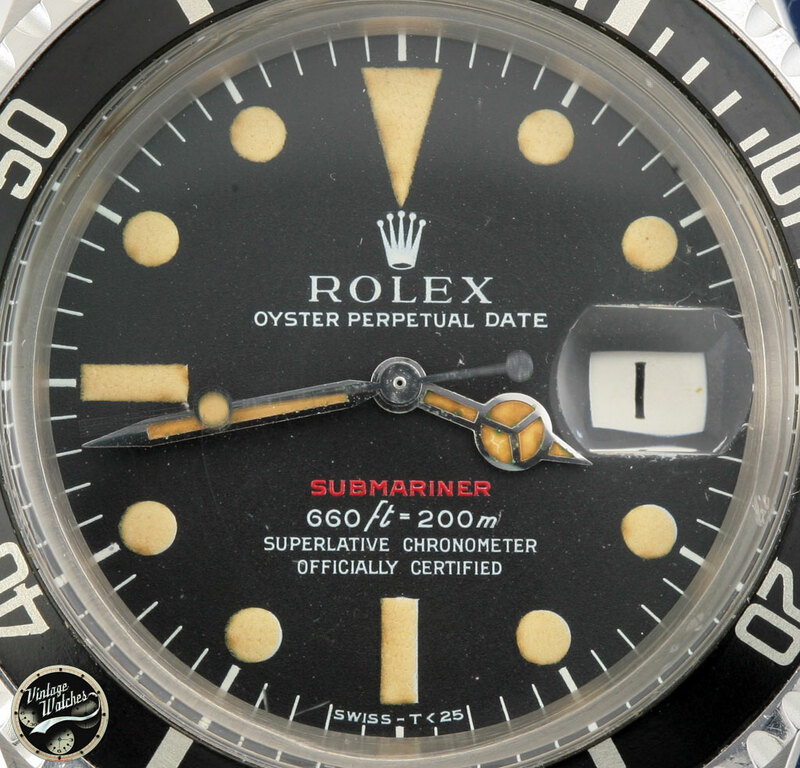 The Mark II and Mark III dials can be found either black or turned brown. 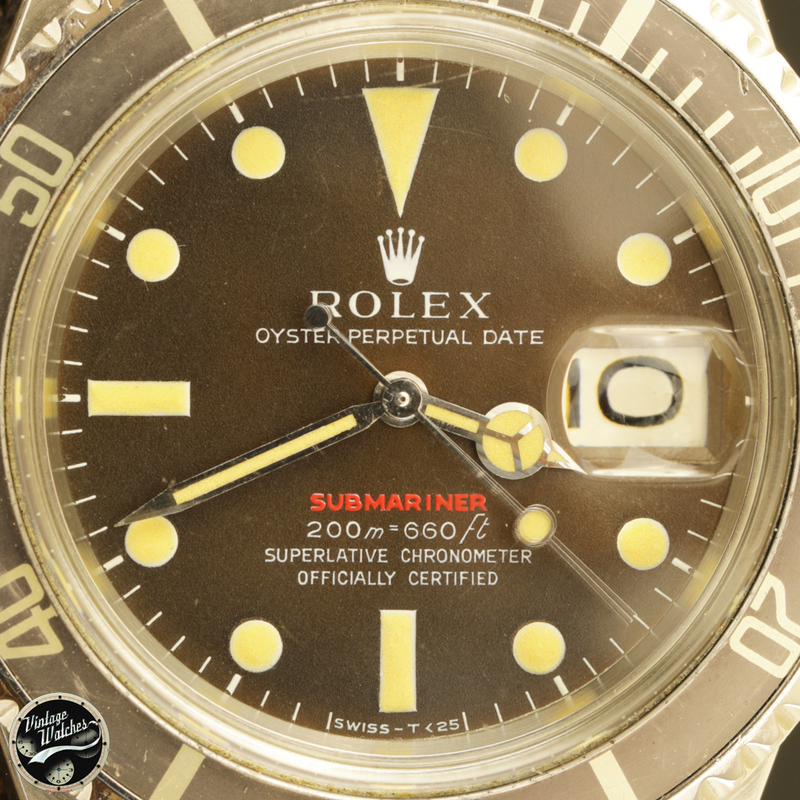 The brown dials were the result of a manufacturing defect to bring the metal base of the dial to oxidize. 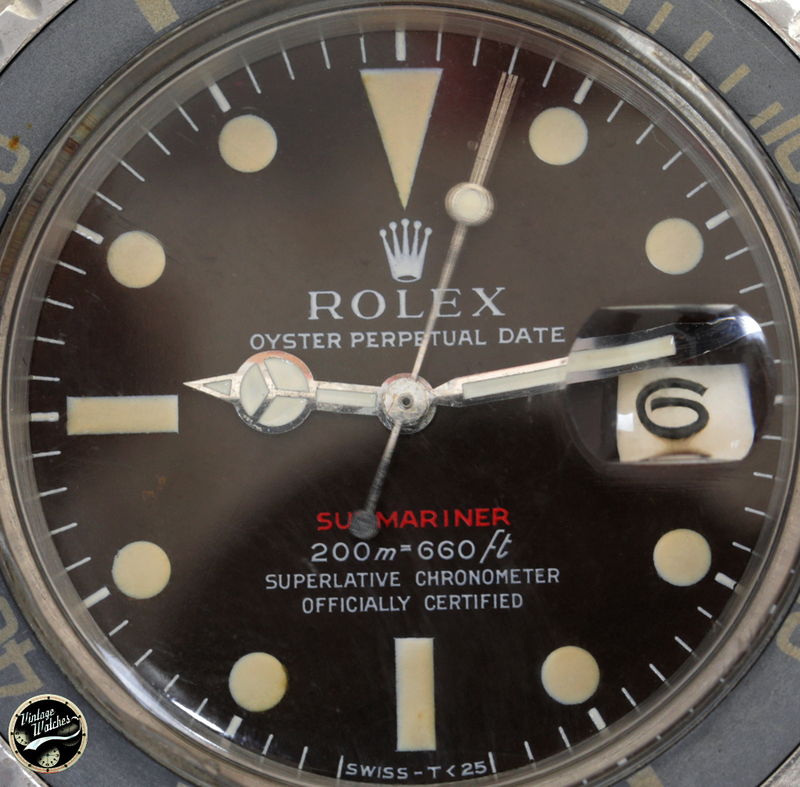 The oxidation then moved to the black paint that turned so brown. 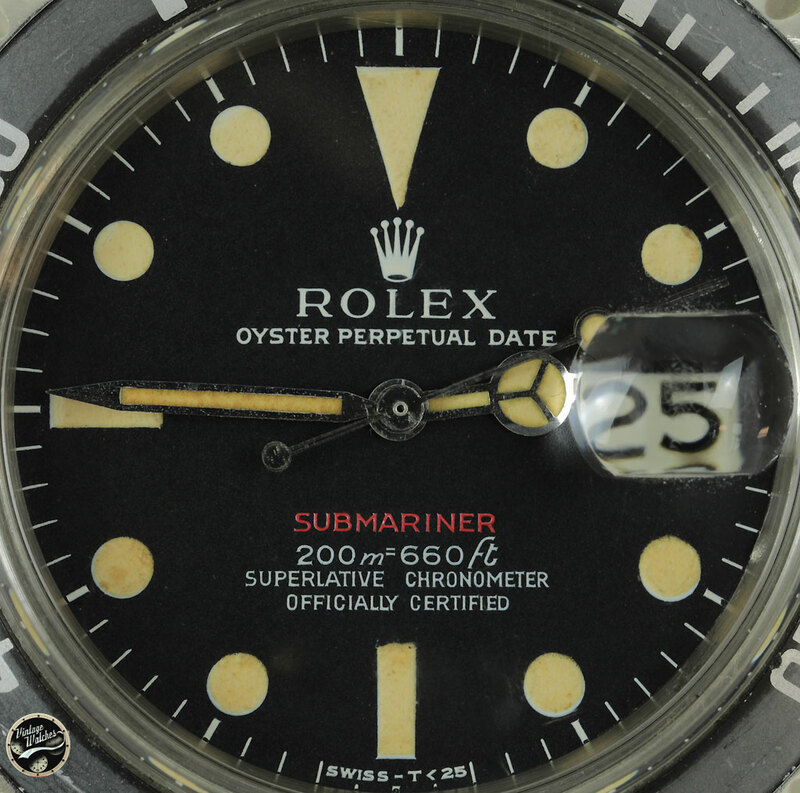 The main characteristic that distinguishes an Mk2 from an Mk3 is the F shape of the First writing. 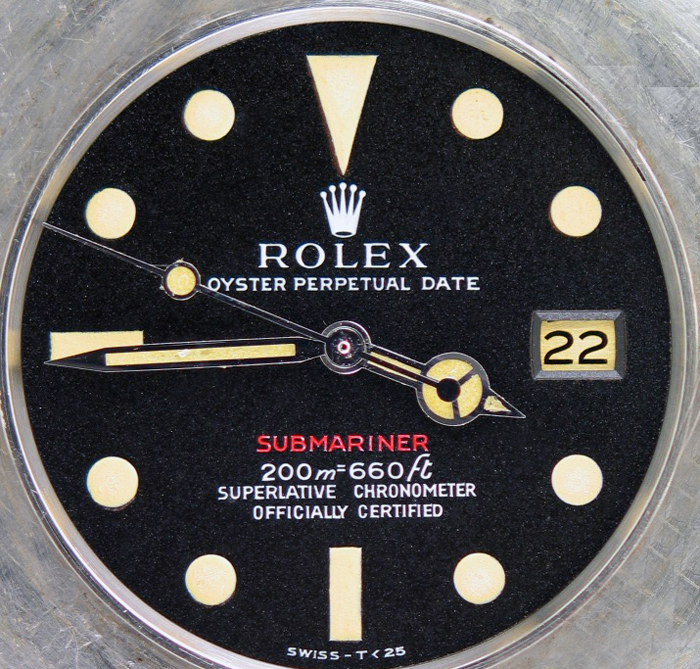 The MarK 3 is the first to present the Submariner WRITING printed directly on the dial in red, without any base, a common feature also in MK5 and MK6. The MK4 marks the transition from the Meter First to Feet First. 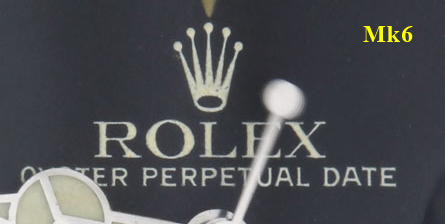 The Mk6 is immediately distinguished from the others by the presence of the closed 6 and the open Rolex crown fan-shaped with accentuated oval base. Thanks to Virginia Giansoldati for her collaboration.